M.I. Biol. I, Ph. D. (TCD), F. I. S. S (UK). Michael Conry was the eldest of a large family, born on a medium-sized farm in Tulsk, Co. Roscommon. He received his early education in the local national schools, Bishop Hodson's Grammar School, Elphin and Roscommon C.B.S. After graduating in agricultural science from UCG and UCD in 1958, he was appointed a Research Officer in An Foras Talútais. During the course of his career in soil science he was awarded an M. Sc. by Ghent University and a Ph. D. by Trinity College, Dublin, where he studied under the guidance of Prof. Frank Mitchell. He has published many books on the soil of various counties in Ireland and numerous scientific papers in Irish, British and European journals including seminal studies on the properties and genesis of iron pan podzols and plaggen soils in Ireland. As a result of his large volume of publications and his standing as a soil scientist, Michael was elected a Fellow of the Institute of Soil Scientists (UK) in 1990. Michael freely acknowledges that he was fortunate during his life, to have not one but three 'giants at his shoulder': 1. His mother, Matilda Keon, whose determination to educate her children saved him from the emigrant boat. 2. Dr Pierce Ryan, Director, An Foras Talútais, an inspired leader, who emphasised the importance of publishing research findings and 3. Prof. G. F. Mitchell, Ireland's foremost student of geology, archaeology, history and the environment. In more recent years, Michael was involved in researching the husbandry of winter barley and spring malting barley at Oak Park Research Centre, Carlow and has published over twenty scientific papers on the subjects. During his career in An Foras Talútais, he worked on numerous consultancy assignments on crops and soils in Africa and the Middle East, including Nigeria, Lesotho, Egypt and Saudi Arabia. 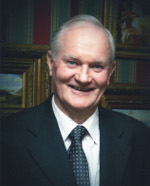 Over the last thirty years, primarily as result of his close contact with the environment and especially through the influence of his friend and mentor, the late Prof. Mitchell, Michael has devoted most of his extra-curricular activities to the study of various aspects of Ireland's cultural heritage. He has already published nine books on a number of different subjects. Description: This book outlines the history of the rabbit industry in Ireland, especially in the first half of the 20th century (and later) and the impact it made on the people involved. In Ireland, the rabbit was an important source of meat for hundreds of thousands of Irish families throughout the 19th and first half of the 20th centuries. At the same time it was an unmitigated pest of immense proportions on the farming community. The rabbit was unique among small mammals as they formed the basis of an important industry in the 20th century. The introduction of the myxomatosis disease in 1954 decimated the industry creating havoc in all sectors of the business.